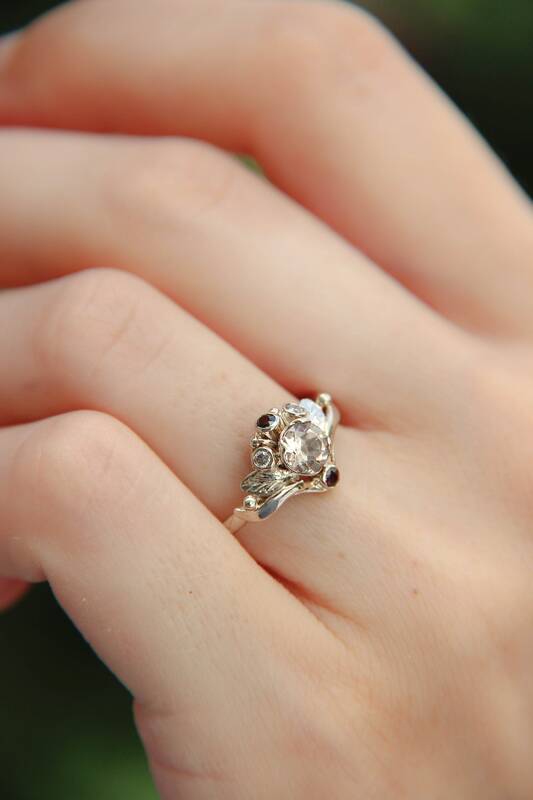 This beautiful white gold multistone engagement ring looks really adorable, delicate and charming. 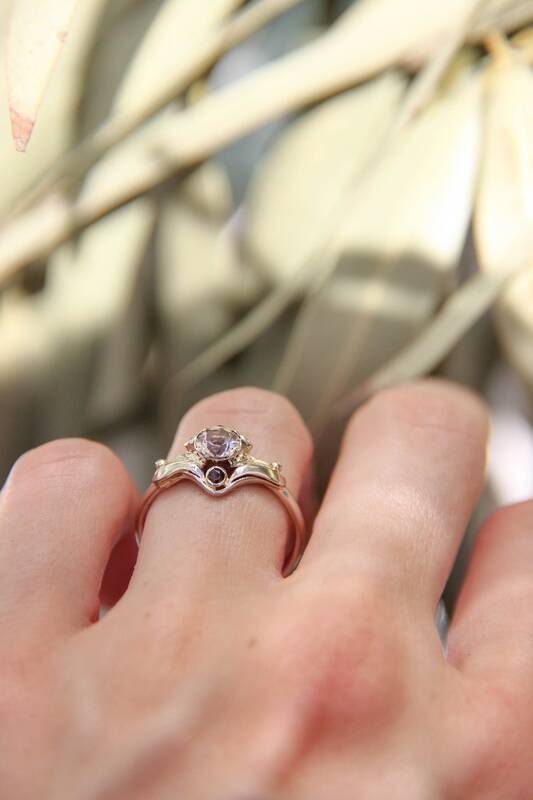 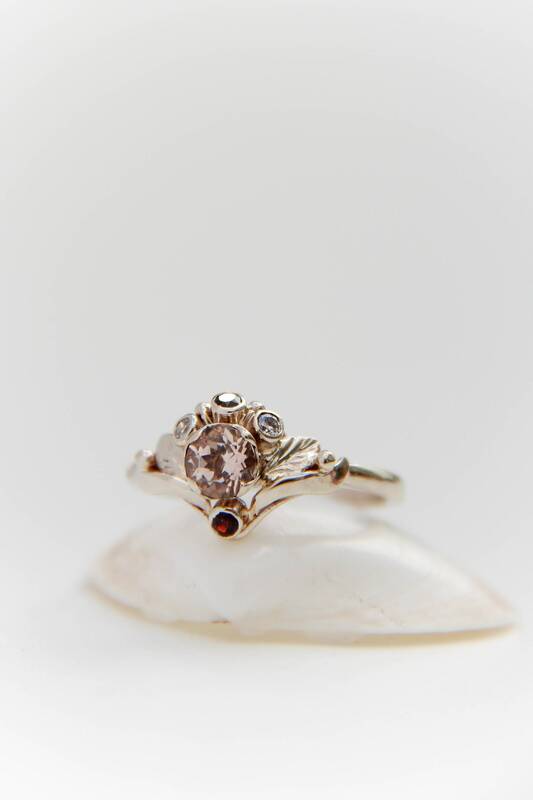 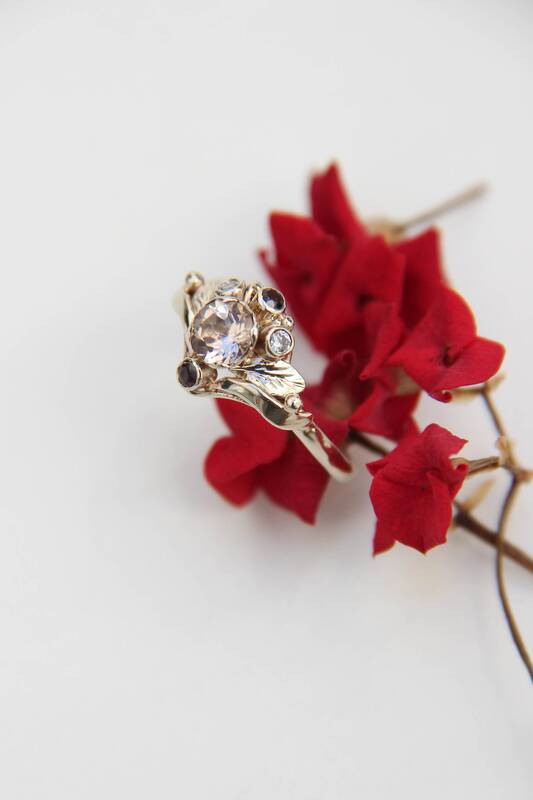 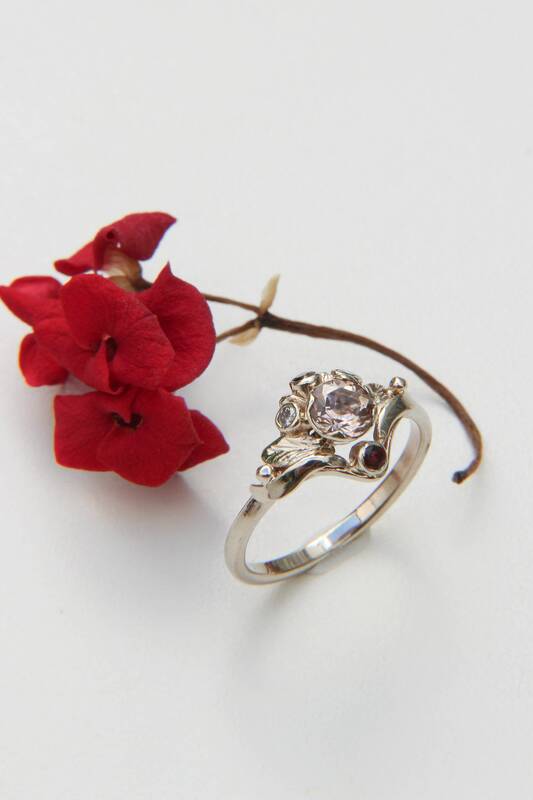 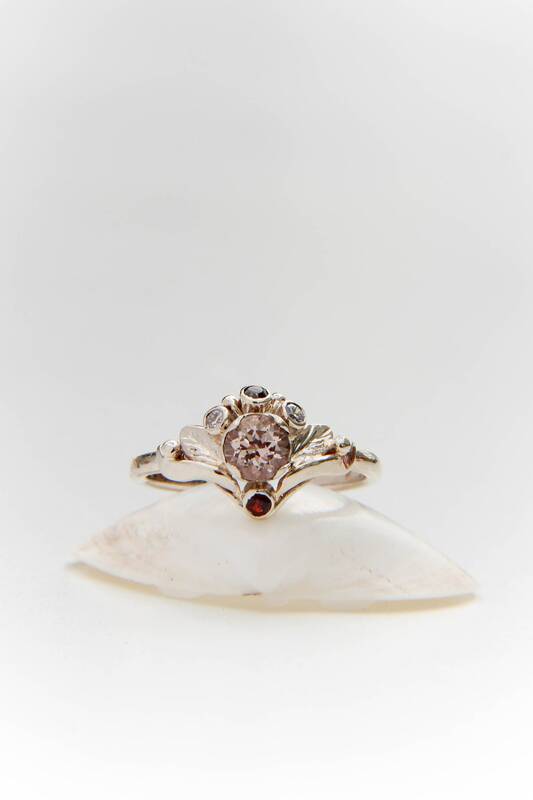 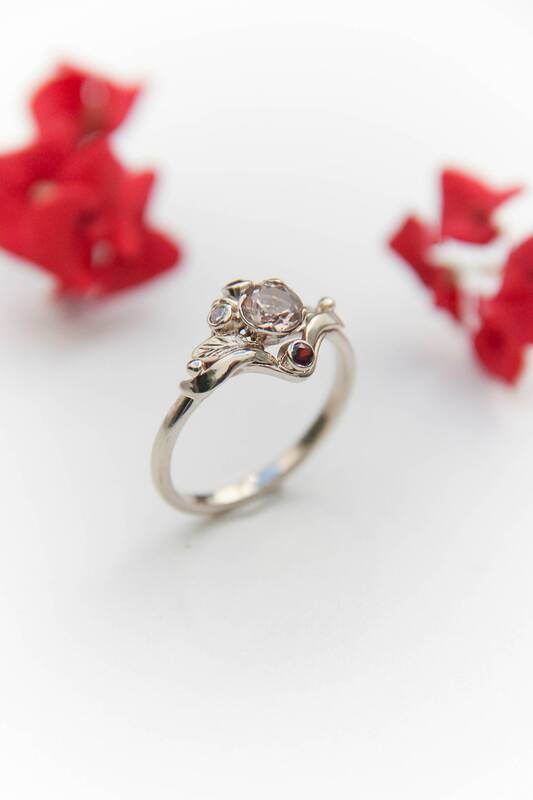 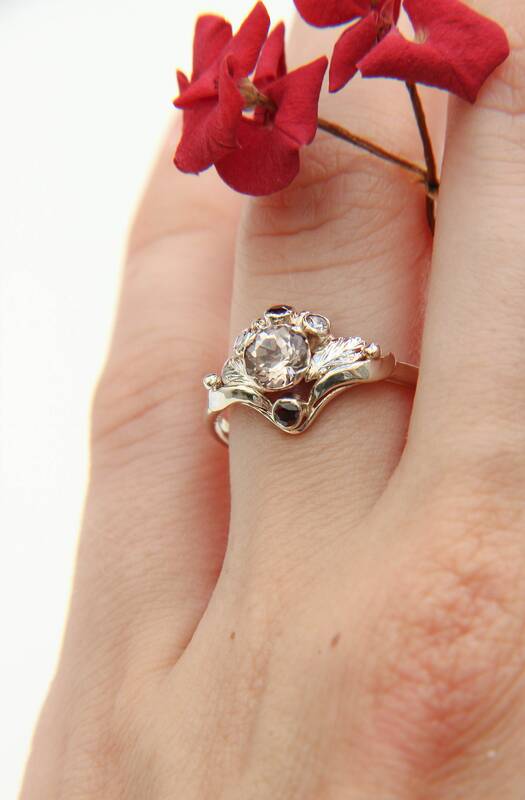 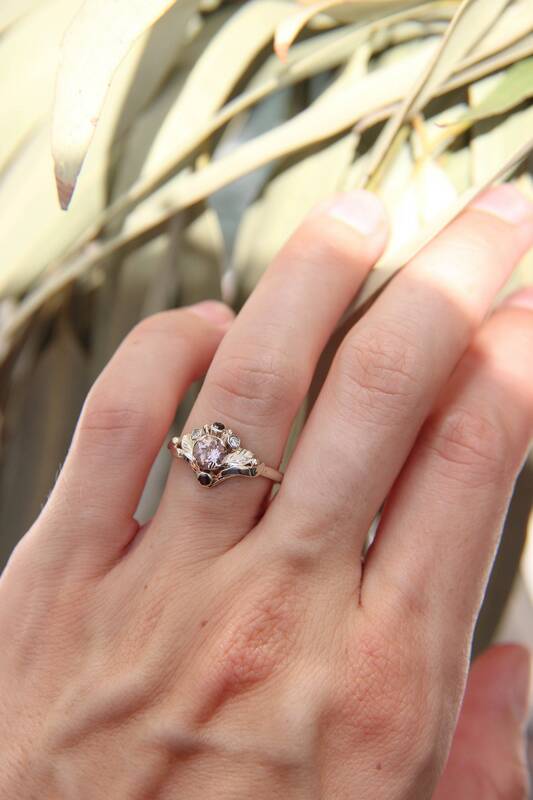 Custom ring features timeless design with detailed leaves, it is hand-sculpted from solid 14K gold and adorned with natural gemstones: morganite, garnets and sparkling round cut diamonds. 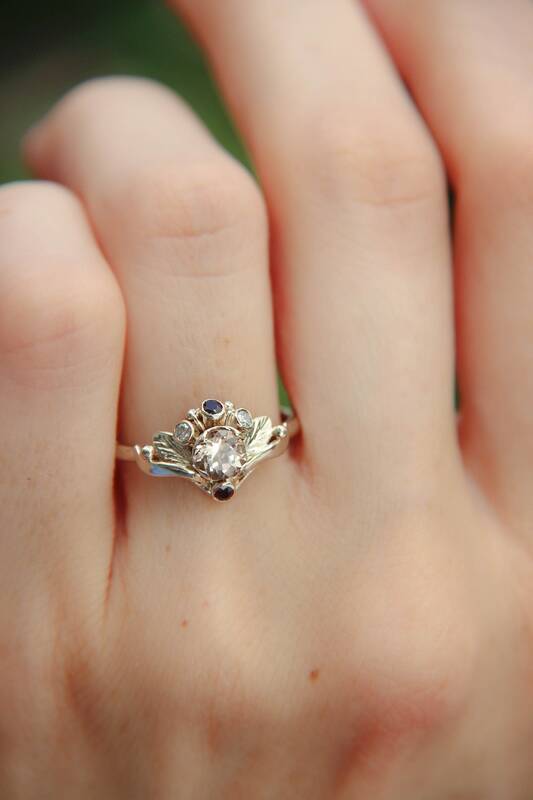 This women unusual band is MADE TO ORDER and will be one of a kind.